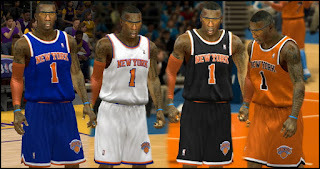 Description: This NBA 2K13 PC mod contains 4 different jerseys of the New York Knicks. 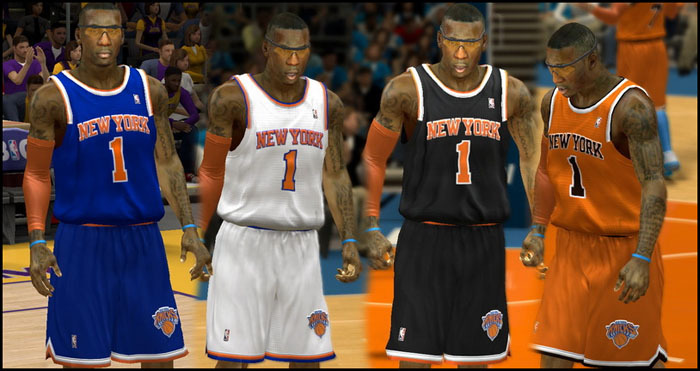 Note: There is no available alternate jersey slot for the New York Knicks so you must rename "ua014-black.iff" or "uh014-orange.iff" to the existing jersey of Knicks either home (uh014.iff) or away (ua014.iff) in order to use it. Don't forget to make a backup.